If there is any truth to the idea that one good deed deserves another, then BlogCatalog.com’s Call To End Abuse, which is its third social awareness campaign, certainly qualifies. While the topic is broad, the blogger-driven campaign promises to raise awareness of abuse-related subjects and related non-profits around the world. In cooperation with BlogCatalog.com, Copywrite, Ink. is inviting any blogger who participates in the campaign to submit a link to their Sept. 27 abuse awareness post along with two weeks of measurable results for a contest designed to benefit others while drawing additional recognition to bloggers who do good. The Challenge. Simply post about some form of abuse on your blog as planned on Sept. 27 and then track any measurable results (traffic counts, comments, links from others, recognition from charity or media, donations collected or made to a charity as applicable, etc.) for two weeks. Your name and address must be included on the e-mailed entry (we will publish pseudonyms upon request; this information will not be used for any other purpose). • $250 (U.S.) donated to a recognized charity of your choice in your name. 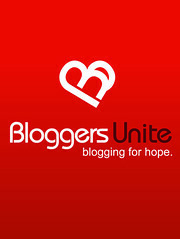 • Choice of any “Bloggers Unite” T-shirt, mug, or other product. 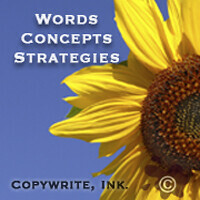 • Your blog and post topic profiled on Nov. 4 by the Copywrite, Ink. blog. • A “Bloggers Unite” product design based on your post, which will include your blog address (proceeds will benefit charity), and design featured on the Back Lot Projects store blog with a direct link to your post. Additional recognition on BlogCatalog.com, Copywrite, Ink., and National Business Community Blog. • Your blog and post topic profiled on Nov. 11 by the Copywrite, Ink. blog. • Your blog and post topic profiled on Nov. 18 by the Copywrite, Ink. blog. • Up to five honorable mentions to be included in the winners release. Winners will be announced on Oct. 27, 2007. Entry assumes that you agree to allow us the right to republish portions of your post in the event you win and make yourself available to answer a few e-mail questions for the winners’ profiles to be published at Copywrite, Ink. Judging. Post will be judged on the basis of the quality of the post (be accurate, clear, concise, human, and conspicuous), the abuse subject or charity mentioned in your post, and any additional measurements submitted. Judges will include two members of BlogCatalog.com, two members of Copywrite, Ink., and two outside judges with no affiliation to either company. Additional. You do not have to be a BlogCatalog.com member to enter. 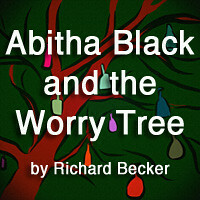 We reserve the right to not award some or all prizes if no suitable entries are submitted. Neither BlogCatalog.com or Copywrite, Ink. employees are eligible to participate. All decisions by the judges are final. The first place cash prize will NOT be awarded to the first place winner personally (but rather to a charity instead) and therefore the winner shall not be entitled to receive an income tax deduction for such prize contribution. If you have additional questions or comments, feel free to post them in the comment section of this post. The sole purpose of this contest is to have fun, recognize causes against abuse, and bloggers who use their blogs for good. I am so excited about this! What an opportunity for all bloggers to come together and blog about whatever type of abuse they choose. Many thanks to you and BlogCatalog. I've always been impressed with the BlogCatalog's great idea since their first one earlier this year. I cannot thank you enough for your support. I imagine if all these bloggers post on Sept. 27 then it is sure to help lots of people and animals, depending on the topic they choose. Great idea and I hope it really goes well. I have my entry on my site already. I hope the message gets out! I'm in but I don't know how to keep track of how many people read my blog entry. I thought I read somewhere that I had to do this. I have a regular page counter for my site but do I have to do it for a post? And if so, how do I do it? I am fairly new to all this blogging and this concept is fantastic! Hats off to all of you!!!! I will certainly participate in this venue. Do your best with the measurements. With the counter, you can check your traffic for the day and/or tell us if you receive any comments. You can also let us know if others link to your post. There are many other measures. Also, as an FYI, adding statcounter.com (which is free) or another analytics tool would help you know which pages people visit. However, this is not a requirement, just a suggestion to help you. Thanks so much. I will make sure the fine people at BlogCatalog know. And I'm thrilled to know that you will be joining the campaign! Tomorrow will be a big day! Thank you Rich for the advice. I'll go there now. Go my entry already done - I'm rarin' to publish. I already sent it to blogforhope@yahoo.com but then after I did it, I found out I shouldn't have done that until October something. Question...how will we know who all joined in with this campaign? I want to read everyone's entry but how do we find them? Thanks Borzack! I know you will! Hey Carol, no worries! If you resumit, we'll look at your last submission. Just make sure you submit the actual blog against abuse link so we don't have to look for it. I do not know if we will get everyone, listed, but we'll do our best. As for the contest, I'll be listing upto eight submissions. But I will ask BC if they want to make another list of everyone who submits. After your install statcounter code, click popular pages. That will give you a snap shot of your traffic. Generous offer. Good luck to all participants. Here's my post about environmental abuse. Thank Rich! So far the participation seems great! When I heard about this a couple of weeks ago, I couldn't contain my excitement. What an important and historic moment this is today. One blog post simply wasn't enough for me, so I posted seven! Being all too familiar with abuse of all types, I applaud you loudly!!! This is awesome, exactly why I wanted to Blog in the first place. These are some awesome posts! Don't forget to e-mail them in with any results you may have. This is turning out to be the biggest issue campaign ever! Great idea! Would be great to win and have a donation to my charity in the month of Oct considering it is the month declared as Domestic Violence Awareness month. my thanks for your support! This truly is an inspiring initiative, to use the power of the community to really make a difference on a global scale!! This was the greatest idea since I joined blog catalog. This group of Hiv orphans (women) have come up with hair institute and are looking for people to help them buy equipments for the salon. Can you have opportunities to raise awareness for groups like these? Thank you. Those are very powerful topics! This has been a great learning experience for us as well by watching the results. At www.arkforkids.org we were able to see that newcomers were not drilling as far down into our site to read about our mission. So we reorganized the pages bringing all of the important information to the surface of each page. Thanks for the contest, it has been a real blessing for us and we know it will bless the children we are trying to serve! Amazing! I will forward that on to the e-mail address.